The federal laws at 18 U.S.C. § 2257 and 2257A impose name- and age-verification, recordkeeping, and labeling requirements on producers of visual depictions of actual human beings engaged in actual and simulated sexually explicit conduct. Pepper Law Group is now proud to provide record keeping services for such producers, giving producers security, privacy, and peace of mind. Somerville, NJ (PRWEB) April 30, 2009 -- Pepper Law Group proudly announces its new user-friendly and secure record keeping services for producers of adult content. Pepper Law Group will store and maintain, in a secure and confidential environment, producers' 2257 compliance documents and be available during business hours to allow the Department of Justice to inspect the documents. Pepper Law Group will also be listed as the producer's custodian of records on your DVD or website, so the producer's name and address can be kept out of the public eye. Pepper Law Group uses an online-based system to receive producer's records safely and securely, at reasonable costs any producer can afford. To learn more about Pepper Law Group's 2257 third party record keeping and custodian services, visit their website at http://www.adultwebsitelawyer.com. Pepper Law Group, LLC provides strategic advice and sophisticated legal services to businesses, entrepreneurs, and entertainers in the areas of technology law, intellectual property, Internet law, free speech, entertainment law, business formation and general business counsel, and privacy and security law. Pepper Law Group, LLC offices are located at 21 East High Street, Somerville, New Jersey 08876. More information about PLG can be found by visiting http://www.adultwebsitelawyer.com or by telephone at 908.698.0330. Yes, Virginia, There Really Is A "Law Day"
USACC: "A Piracy Trial in Somalia Please"
The U.S. African Chamber of Commerce says Abduhl Wal-i-Musi, the only survivor of a pirate attack on a U.S. cargo ship earlier this month, should be tried in Somalia instead of the United States. Washington, DC (Vocus/PRWEB ) April 30, 2009 -- A young Somali man, Abduhl Wal-i-Musi, the only survivor of a pirate attack on a U.S. cargo ship earlier this month, appeared before a U.S. federal judge Tuesday to face charges. 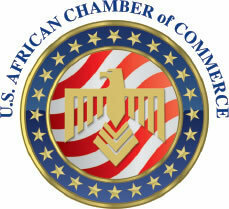 Martin Mohammed, President of the U.S. African Chamber of Commerce, said it would have been better if Wal-i-Musi had faced charges in his native country. The trial would have sent a warning to other pirates operating in the region, who may someday request to be arrested in the United States for a better life. This would also give a chance for the weak Somali government. Leading analyst firm, Chartis Research, is pleased to announce the appointment of Stuart Elson as a senior member of its Advisory Board. Stuart’s practical experience and range of expertise will further strengthen Chartis’ knowledge-base and enhance its service to its clients and subscribers. Chartis’ unique combination of practitioner experience and research is helping to shape the future of the risk technology industry. New York, NY (PRWEB) April 30, 2009 -- Leading analyst firm, Chartis Research, is pleased to announce the appointment of Stuart Elson as a senior member of its Advisory Board. In this role, Mr Elson will provide high-level advice and guidance to Chartis and its clients and help shape the firm’s future research strategy. Particular areas of focus will be risk analytics, counterparty risk and risk technology architecture. "We are delighted to have Stuart Elson as a member of our Advisory Board," commented Peyman Mestchian, Head of Advisory Board at Chartis, “Stuart’s practical experience and range of expertise will further strengthen Chartis’ knowledge-base and enhance its service to its clients and subscribers." Mr Elson is also President of Shisa Advisors, a consultancy focusing on Risk, Software and Project Management. He brings over 20 years financial technology experience to Chartis, covering investment banking, asset management and risk technology. Previous roles include Managing Director at Bear Stearns/JPMC and Senior Vice-President at Salomon Smith Barney/Citigroup, covering such areas as enterprise risk technology, stress testing, Basel II, probability of default, model validation, and economic capital. "I am very excited to join Chartis’ advisory team," commented Stuart Elson, "Chartis’ unique combination of practitioner experience and research is helping to shape the future of the risk technology industry." BoxTone(R), the expert in mobile user management, today announced that its new BoxTone v4.0 software for BlackBerry platform management, monitoring and support will take center stage at WES 2009, May 5-7 in Orlando - perfect timing for organizations seeking to lower support costs and improve performance now, while preparing for upgrades and migrations to BlackBerry Enterprise Server version 5.0. Columbia, MD (PRWEB) April 30, 2009 -- BoxTone(R), the expert in mobile user management, today announced that its new BoxTone v4.0 software for BlackBerry platform management, monitoring and support will take center stage at WES 2009, May 5-7 in Orlando - perfect timing for organizations seeking to lower support costs and improve performance now, while preparing for upgrades and migrations to BlackBerry Enterprise Server version 5.0. A WES Gold Sponsor, BoxTone and its team of BlackBerry-Certified System Administrators will be on hand in the Solutions Showcase, Booth 311, to demo the software's key new management features, including: the first-ever pairing of "1-Click Fix-It" capabilities with SmartMP(TM) analytics to enable Help Desk staff to resolve a user issue in a single click; SmartAdvisors to automate and optimize platform load balancing, tuning, deployment and expense control; and SmartAlerts to proactively detect outages and slowdowns. Visitors to Booth 311 will also learn how unique integrations into the new BlackBerry Administration Service (BAS) can greatly simplify the transition to BlackBerry Enterprise Server version 5.0. Plus, those who are "first in line" in Booth 311 at Monday's WES 2009 Welcome Reception will secure the most chances to win one of five daily prize packages, as well as have first choice of limited edition retro tee shirts made specifically for the event. Session WA06: BlackBerry Enterprise Server Administration - New Flexibility & Power Unveiled, on Tuesday at 3:15 p.m. in Grand 8A. Session WW01: Citi and The Home Depot Share Their Support Secrets, on Wednesday at 3:15 p.m. in Grand 6. Birds of a Feather Sessions for enterprise IT administrators: Five hard-hitting sessions taking place in The Lounge, sponsored by BoxTone, located across from Cypress 1. For the session schedule, click here for The Lounge online. Session WA35: Go Big, With a Plan: Managing Large-scale, Global Deployments, on Thursday at 10:15 a.m. in Crystal H, featuring Henkel. With unemployment rates soaring toward double digits, home values in a nosedive, and propped-up banks withholding credit, consumers are being subjected to unprecedented financial stress - pressure only made worse by debt collection agencies that engage in unfair practices. According to attorney Sergei Lemberg (www.stopcollector.com), an increasing number of collectors are crossing the line and violating the 1977 Fair Debt Collection Practices Act (FDCPA). Stamford, CT (PRWEB) April 30, 2009 -- With unemployment rates soaring toward double digits, home values in a nosedive, and propped-up banks withholding credit, consumers are being subjected to unprecedented financial stress - pressure only made worse by debt collection agencies that engage in unfair practices. According to attorney Sergei Lemberg (http://www.stopcollector.com), an increasing number of collectors are crossing the line and violating the 1977 Fair Debt Collection Practices Act (FDCPA). "At a time when consumers are most vulnerable, we're seeing a surge in aggressive collection tactics," said Lemberg. "People who not long ago were courted by banks and credit card companies are now being hounded by abusive debt collectors who threaten and harass them." Lemberg notes that the vast majority of consumers don't know what constitutes illegal behavior, or that they have recourse if they're victimized by unlawful collection practices. "The FDCPA prohibits collectors from utilizing tactics like calling early in the morning or late at night, calling the workplace, and misrepresenting themselves as attorneys or credit bureau representatives," he said. "They can't say that the consumer has committed a crime, try to collect more than is owed, or contact the consumer by postcard." People who not long ago were courted by banks and credit card companies are now being hounded by abusive debt collectors who threaten and harass them. They can't say that the consumer has committed a crime, try to collect more than is owed, or contact the consumer by postcard. Honest consumers who engage unscrupulous collectors in an attempt to work out a solution are most often the victims of verbal attacks and threats. We're living in unprecedented economic turmoil, a time when vulnerable consumers need every protection the law provides. That's why we're committed to helping alleviate fear and anxiety by providing people with the justice they deserve. These common practices are just the tip of the iceberg, though. Lemberg has clients whose post-dated checks have been deposited early, who have been threatened with harm, who have been told that their paychecks or property would be taken away, and who have be tricked into providing detailed information to debt collectors. "Debt collectors know that they can take advantage of consumers' fear, and target people who are already anxious about providing for their families," Lemberg said. "Honest consumers who engage unscrupulous collectors in an attempt to work out a solution are most often the victims of verbal attacks and threats." Moreover, he notes that people don't realize that, once they engage the services of an attorney, the debt collection calls will stop. "Once represented by an attorney, a debt collector is not allowed to call that person again. That's a huge relief to someone who has been harassed," he said. This lack of awareness is why Lemberg is on a mission to educate consumers about illegal practices, and to let them know that the FDCPA includes penalties for collectors who break the law. "The federal law allows consumers in successful actions to collect $1,000 in damages plus attorney fees, and some state laws spell out even more severe penalties," he said. The bottom line? According to Lemberg, "We're living in unprecedented economic turmoil, a time when vulnerable consumers need every protection the law provides. That's why we're committed to helping alleviate fear and anxiety by providing people with the justice they deserve." The attorneys at Lemberg & Associates, LLC are experts in fair debt collection, and practice in New York, Connecticut, New Jersey, Massachusetts, Pennsylvania, Maryland, California, and Washington, D.C. Sergei Lemberg can brief you about illegal debt collection, avenues of redress, and other protections afforded by the Fair Debt Collection Practices Act. Satinder Dhillon, 31, a self-represented Plaintiff from British Columbia has filed an application to have his case heard by the Supreme Court of Canada. Dhillon cites the pursuit of justice and truth as being his motive to fight on, despite the lower court decision in British Columbia. Dhillon claims the issue at bar is of national importance and that the lower court decision will negatively impact the rights of many Canadians in the future, if it is left to stand. Ottawa, Ontario (PRWEB) April 30, 2009 - On February 9, 2009, an application was submitted by Satinder Dhillon, 31, seeking that the Supreme Court of Canada (Court File No. 33003) overturn a ruling handed down by the lower court in British Columbia. On December 19, 2007, the Honourable Justice McEwan of the Supreme Court of British Columbia pronounced the disputed decision, which effectively threw out Dhillon's lawsuit despite not having been heard on its 'merits' (order of Justice McEwan - December 19, 2007). Dhillon had filed his original Writ of Summons in March of 2007 (Court File No. S104801). There were numerous hearings, and while representing himself, Dhillon had received several favourable rulings from the court until Justice McEwan's decision on December 19, 2007. One of the favorable decisions to Dhillon was pronounced on June 4, 2007, by the Hounourable Justice Burnyeat, a noted foreclosure expert during his career as a lawyer in Vancouver, British Columbia. After a full day of submissions by opposing counsel and Mr. Dhillon, Justice Burnyeat pronounced an order that essentially prevented the misappropriation of any equitable interest Dhillon potentially had in a property that is at the center of this litigation, which is located in Surrey, British Columbia, and was estimated to be worth $3 million at the time of the ruling in June of 2007. "In a highly irregular breach of fiduciary duty, by an officer of the court, the Burnyeat order was never filed and registered with the Land Title Office". "I currently am awaiting a ruling on a special motion that has been filed with the Supreme Court of Canada, to deal specifically with this breach" said Dhillon. One week later, on June 11, 2007, the Hounourable Justice Groves granted Dhillon the ability to pursue his claim and adjourned an application brought on by some of the Defendants to have the claim dismissed prematurely. In a 10-page decision, Justice Groves noted "that the matter appears to be complex ......but Dhillon represents himself, and he appears articulate and is in Court with a large number of banker's boxes". Dhillon stated that, "the case was moving along just fine and according to schedule in the summer of 2007". "I was looking forward to finally getting my day in court, but then inexplicably in November and December of 2007, things just fell off the rails. Dates for examination had been set, and documents had been exchanged". "I have spoken to many legal professionals across Canada, and they are stunned at what has occurred here in British Columbia". "In October of 2007, I assisted a friend of mine who was representing himself in a separate case (Court File No. 193466VA99) that was presided over by the Chief Justice of British Columbia - the Honourable Donald Brenner. After those days in court in October of 2007, my fortunes before the British Columbia Judiciary seemed to have turned overnight" (for more information about this case please visit www.justiceandtruthforall.com). "I am very fortunate to have had the assistance of my family and friends along the way, and to have found great legal help from practitioners across Canada". "My present counsel from Ottawa, firmly believe that a grave injustice was suffered". "Self-represented litigants, or as they are commonly referred to in the judicial system - lay litigants - could potentially be adversely affected by these decisions in the years to come, if this ruling is not overturned". "Essentially the ruling means that the average person can be held to a higher test than a lawyer". "I believe that throwing the truth by the wayside sends the wrong message to Canadians, especially in this era of self-represented litigants already being so marginalized". "A nation is only as strong as its laws, and enforcement of same. Justice must be accessible to its citizens, and no legal professional should be able to rely upon such narrow technicalities to circumvent the due process afforded to Plaintiffs in Canada, as was done in my case". The Supreme Court Act states that 'an application for leave may be granted when the Supreme Court finds that the case raises an issue of public importance, and is therefore a case that ought to be decided by the Supreme Court. This means that the case must raise an issue that goes beyond the immediate interest of the parties to the case'. "I believe that my case fits the mandate, as prescribed by the Supreme Court Act, and it would give the Court a chance to fulfill their mission in serving Canadians, as 'accessibility to justice' is listed as a very important part of that mission". "Last year the Chief Justice of the Supreme Court of Canada - The Right Honourable Beverly McLaughlin-- stated in a speech that 'the most advanced justice system in the world is a failure if it does not provide justice to the people it is meant to serve. Access to justice is therefore critical' ". "She further went on to say, in that same speech that 'recently the Chief Justice of Ontario stated that access to justice is the most important issue facing the legal system' ". "Over the course of the past 9 plus years we have with the greatest of care, and meticulously accumulated irrefutable evidence as to what really transpired. To have it never see the light of day due to procedural chicanery, and a misguided and heavy handed ruling pronounced by a member of the B.C. Judiciary, would be a much greater travesty, when viewed in a national context". "This decision, if left to stand, will negatively impact self-represented Plaintiffs, and put them at a severe disadvantage in Canada for the years to come" added Dhillon. "Recently I attended the Access to Justice town hall meeting that took place in Vancouver, B.C. (www.accesstojustice.ca)"
"I was shocked to learn how just how badly the system in B.C. had been gutted by the cuts to legal aid funding in the past 9 years. There seems to be a disturbing trend in British Columbia, as far as the average citizen being able to access justice is concerned". "Even the United Nations has weighed in on the issue and expressed its dismay". "Currently I am working with some individuals who also notice this trend, and a full length documentary is in the works" added Dhillon. A letter written by Mr. Dhillon to opposing counsel is attached.